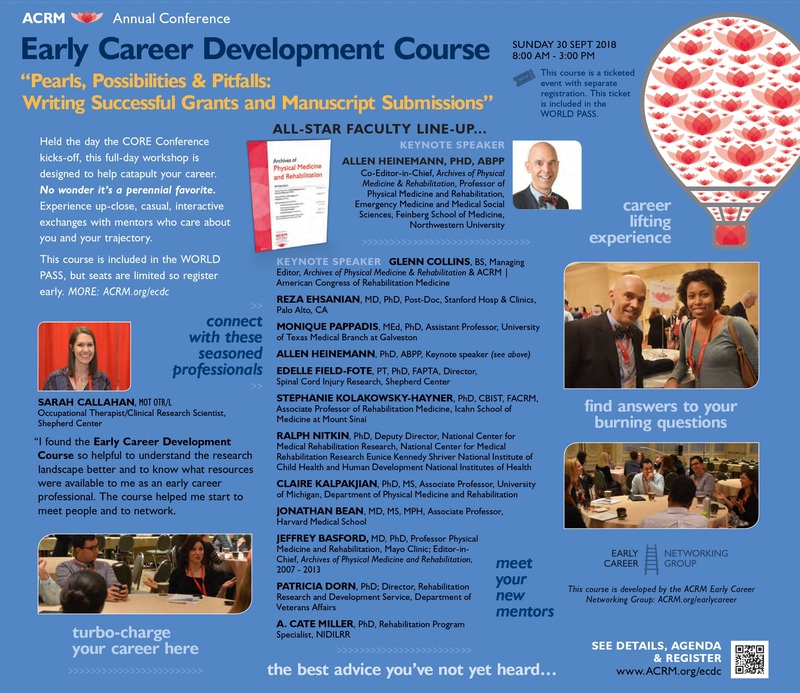 The Early Career Development Course is a perennial favorite at ACRM that connects early career rehabilitation researchers with seasoned professionals who serve as mentors to answer specific questions regarding career development opportunities as mentees work towards a path to success with grant writing and scholarly publishing. 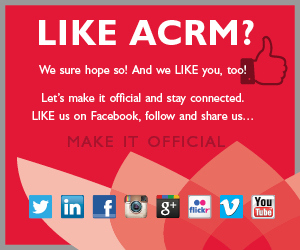 This year’s course will focus on how to write a successful manuscript and grant submissions. The course will provide opportunities to learn from journal editors, funding agency representatives, and distinguished scientists. Through didactic presentations, panel discussions, one-on-one networking, and small group discussions, the attendees will learn how to confront career development challenges with a specific focus on the pearls, possibilities, and pitfalls of writing successful grants and manuscripts. 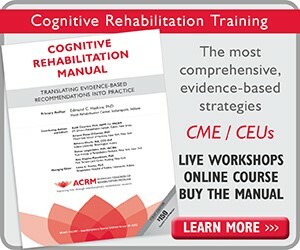 One of the highlights of the course, will be a Keynote Address by Mr. Glenn Collins, Publications Director and Managing Editor of the Archives of Physical Medicine & Rehabilitation and Dr. Allen Heinemann, Archives Co-Editor-in-Chief. 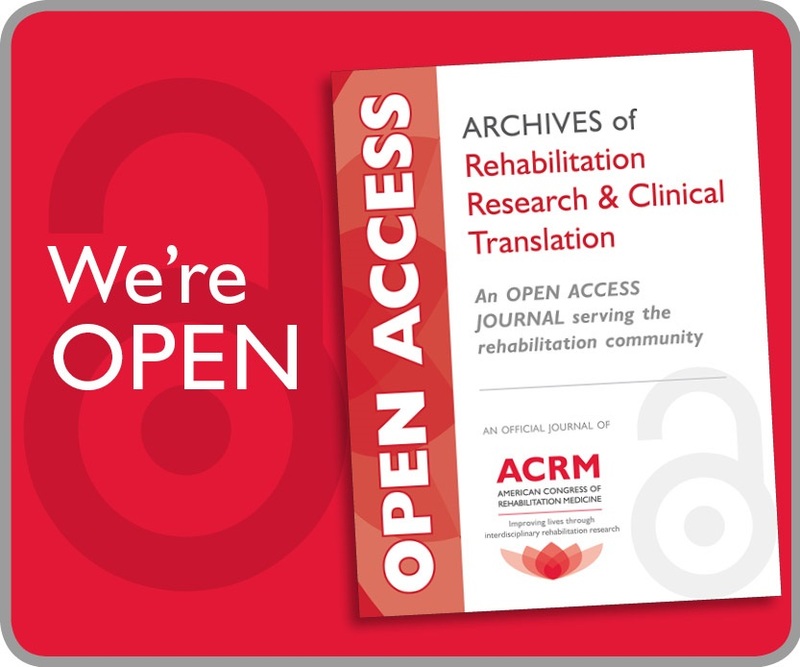 The Archives is the official journal of ACRM and the most-cited journal in rehabilitation. 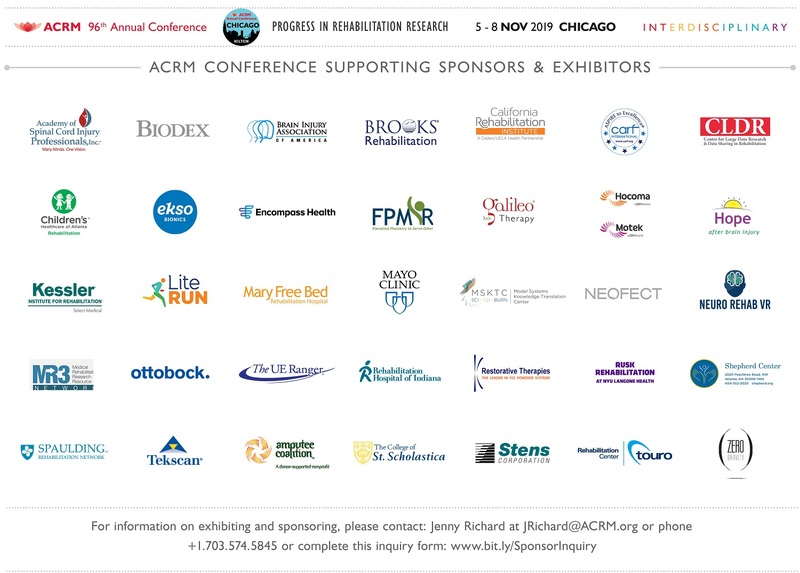 They will be sharing key strategies for submitting a successful manuscript as part of their keynote address.